Guaishushu is seriously regretting for his “creativities” and “stinginess”. 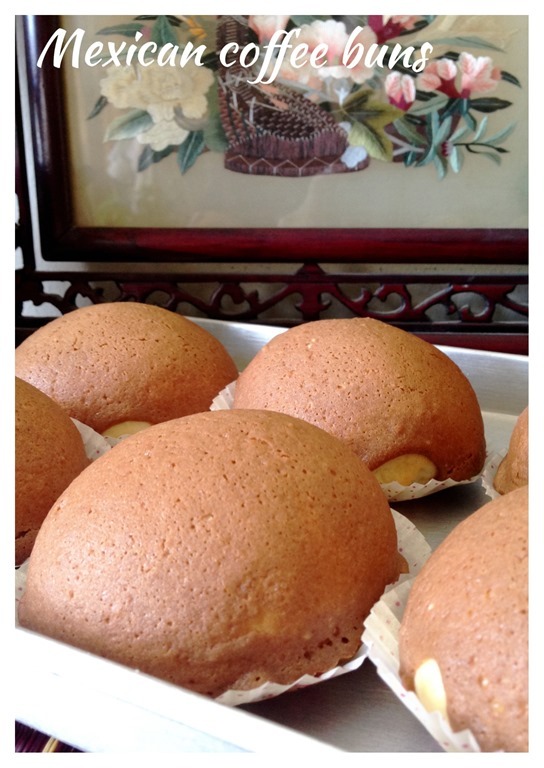 He made a batch of Polo buns and Mexican Coffee Buns. 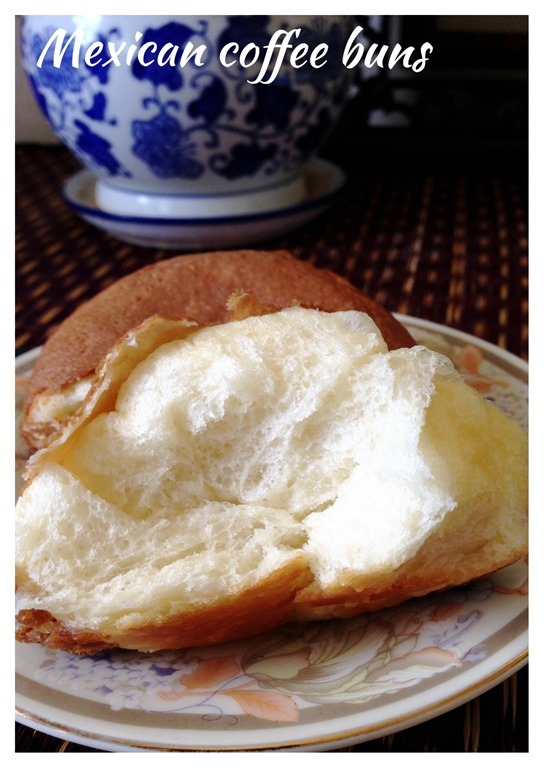 However, as the final proofing of his bun is less than his desired diameter, he was left with some coffee pastry dough. Instead of throwing it away, half way when he baked the buns, he just took out the buns and pumped in the left over coffee pastry dough thinking it will melt and become a coffee buns with double dose of crusty coffee toppings… And the end, he found that instead of making it more beautiful, he made a bunch of ugly buns… Well, he still decided to share the recipe here as readers can just follow the recipe and get some good quality buns…… Don’t be misled by Guaishushu’s pictures. 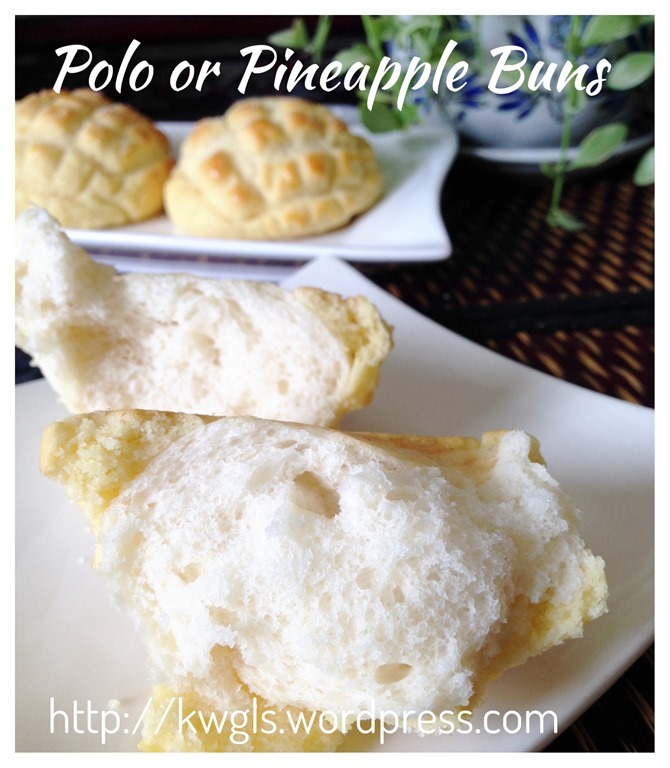 Polo bun or pineapple bun is a type of soft, sweet bun commonly found in Asia. 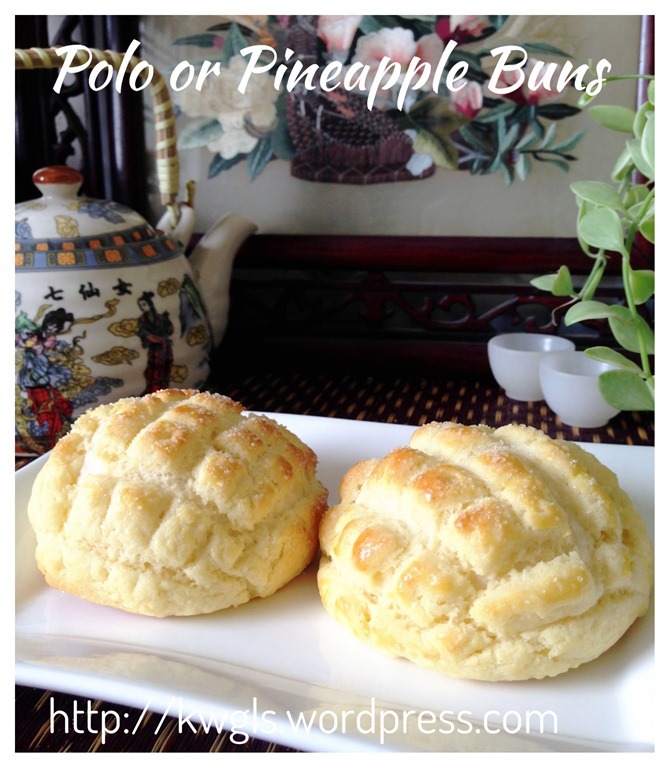 The word “Polo” in Mandarin literally translated to pineapple. 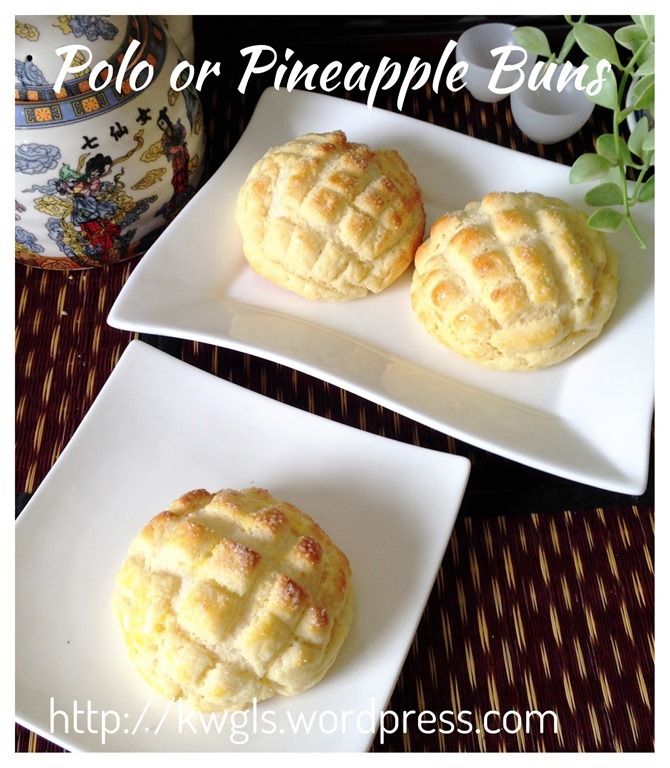 In another word, it is supposed to be a soft bun that have skin that resembles the skin of pineapples. Usually what is being sold in the market is with fillings such as barbecue pork. However, as I am on a vegetarian diet, I have opted to make it into a plain bun for breakfast. 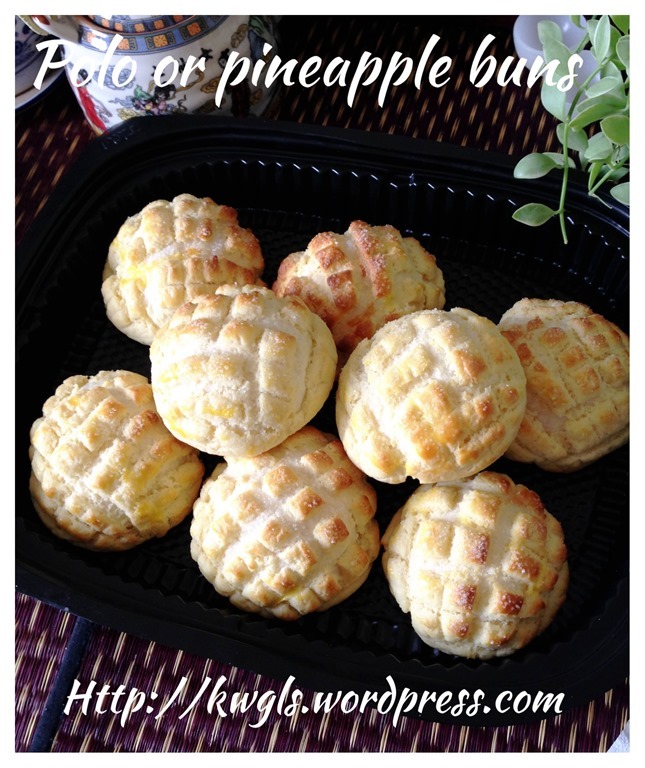 The buns were wrapped with a soft cookie liked dough on top of the buns, when it proved for the second time, the plain dough will start to make the soft cookie liked dough to break and those resembling the skin of a pineapple. 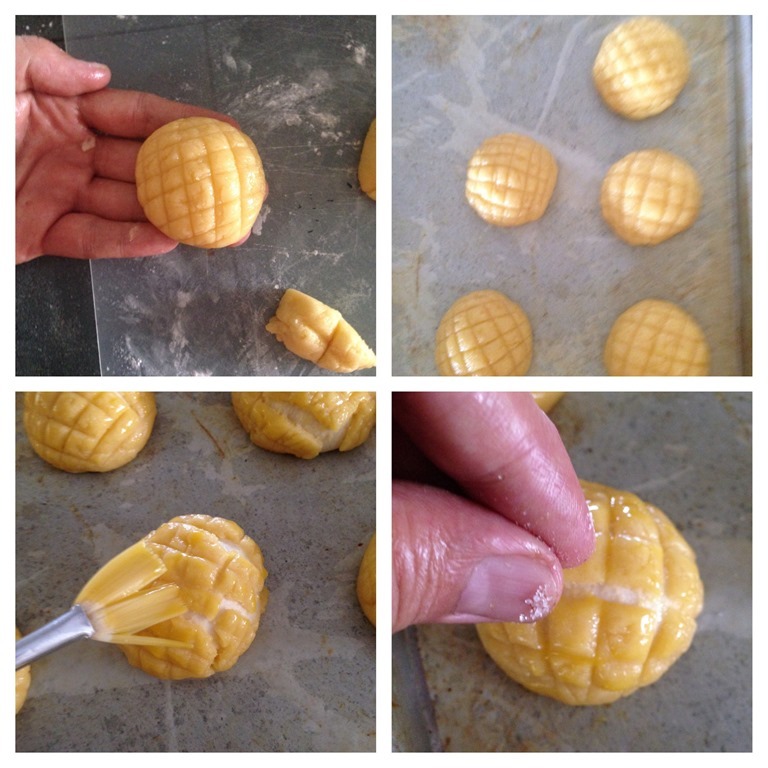 Some have used a knife to cut into a pattern of a pineapple skin. 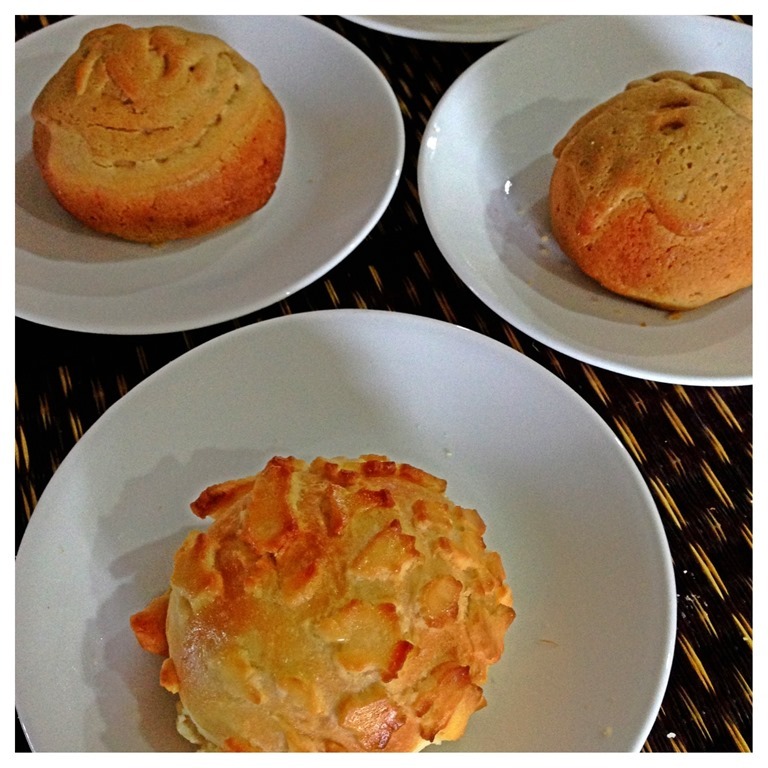 Mexican coffee buns is popularized by Rotiboy in Malaysia and it is a type of sweet bun with coffee flavoured crusty toppings. 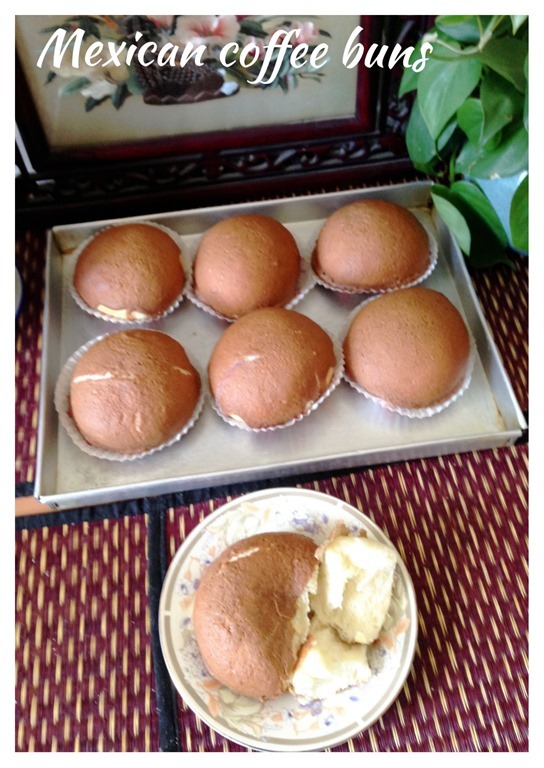 Usually, inside the buns, there is a slice of butter which will melt when the buns are baked. 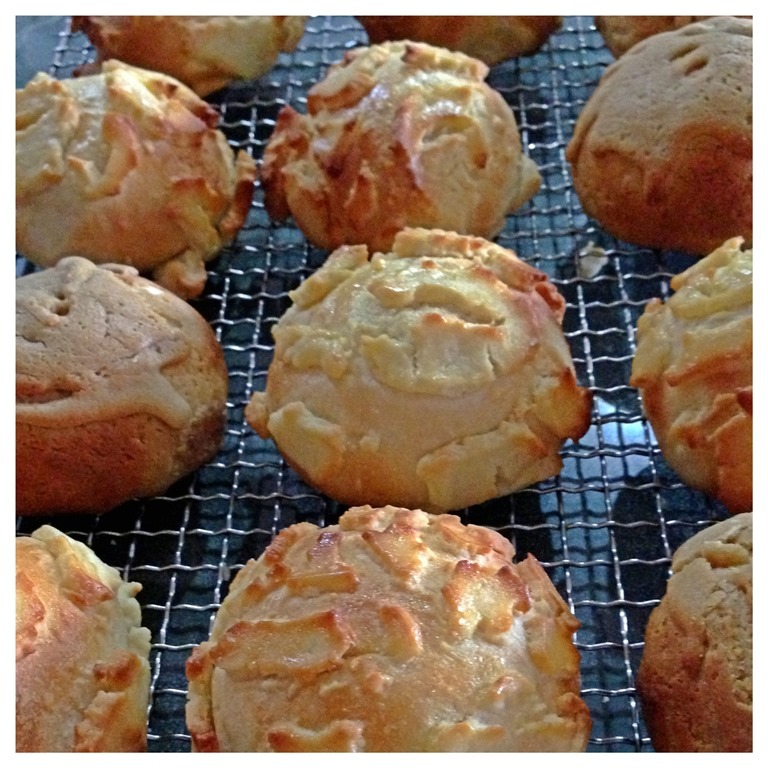 Therefore the buns is full of buttery flavour. 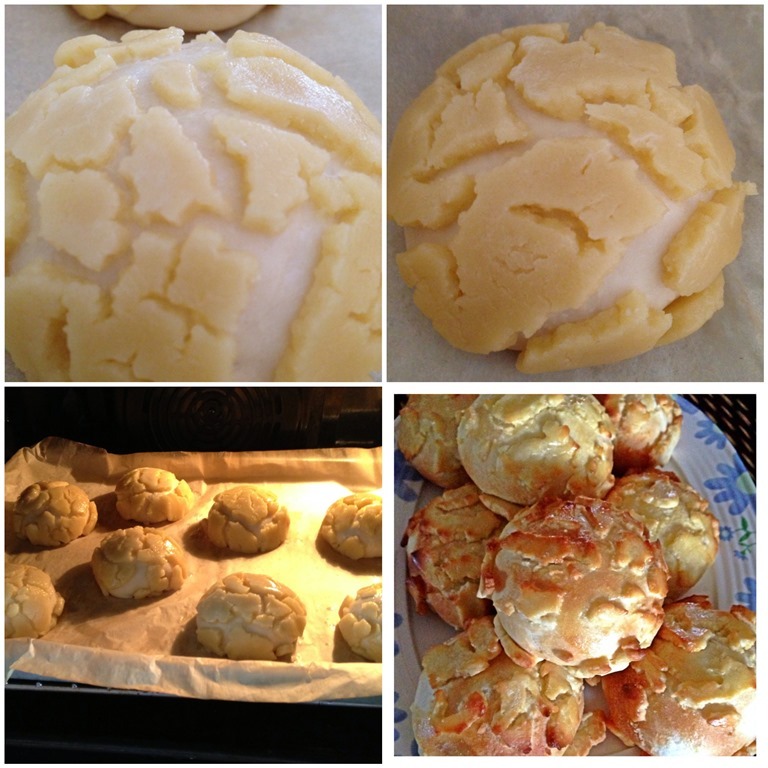 THIS IS DEFINTELY A WORKABLE RECIPE AND IF YOU LOOK AT MY WORK IN PROGRESS PICTURES, YOU WILL SEE THE IT IS OKAY UNTIL THE VERY LAST MOMENT WHEN GUAISHUSHU IS GREEDY TO ADD ADDITIONAL COFFEE TOPPINGS. 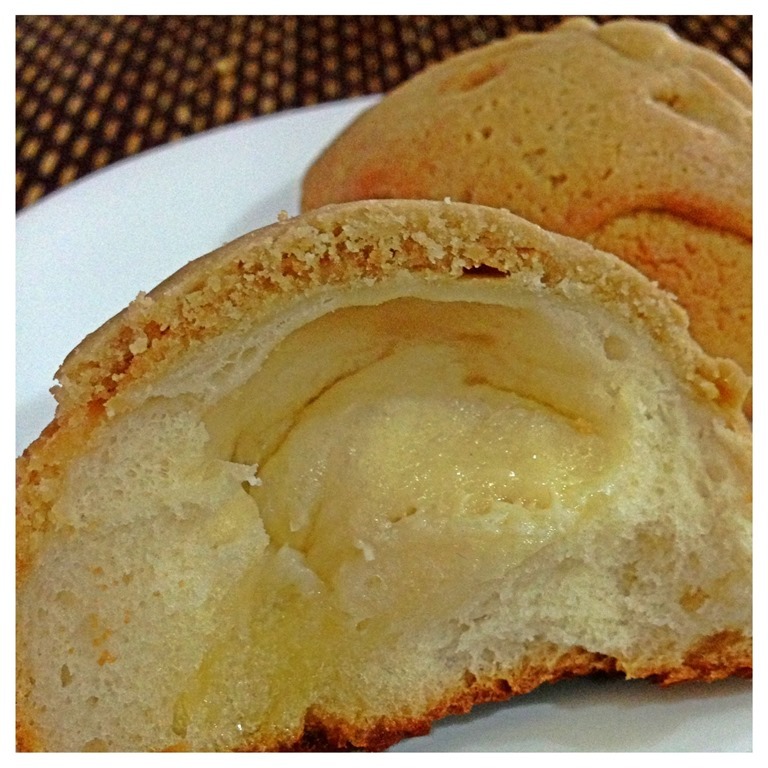 Melt the butter in an microwave oven for 1 minute. 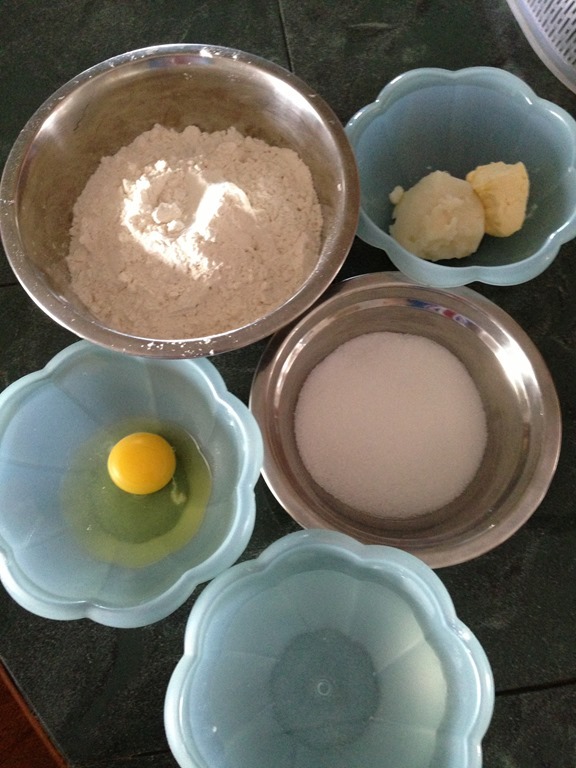 Add in beaten eggs, sifted icing sugar, milk powder and sifted bread flours self raising flour. 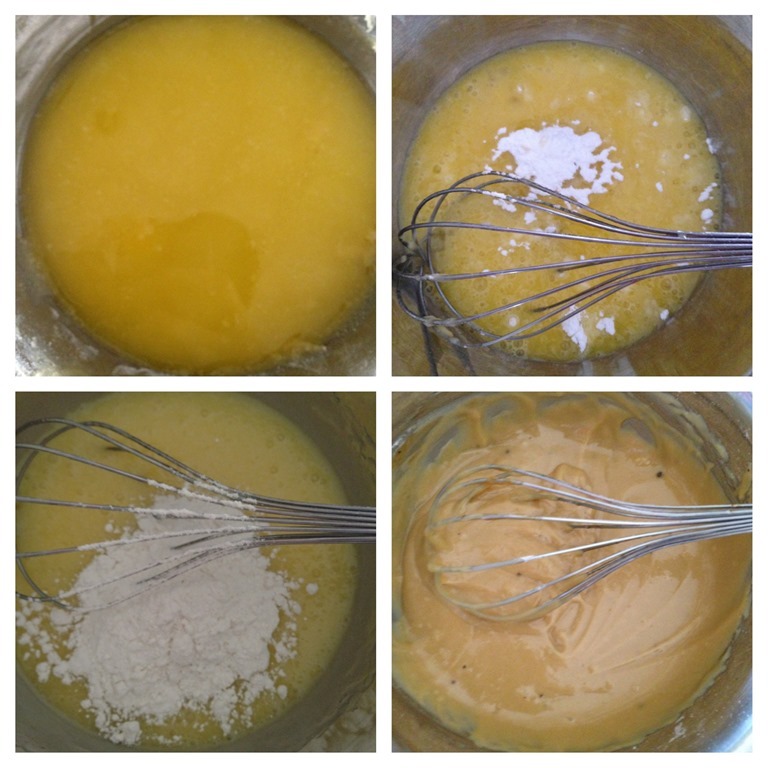 Mixed well until it form a soft dough. Shape in round shape and set aside for later use. 2 tablespoons of unsweetened instant coffee dissolved in 2 tablespoons of hot water. 8 pieces of 1 cm x 3cm x 0.2 cm cold cut butter (sizes is just for reference and you can just cut the butter in a small piece) – for usage in Section E. Store the butter in the fridge. 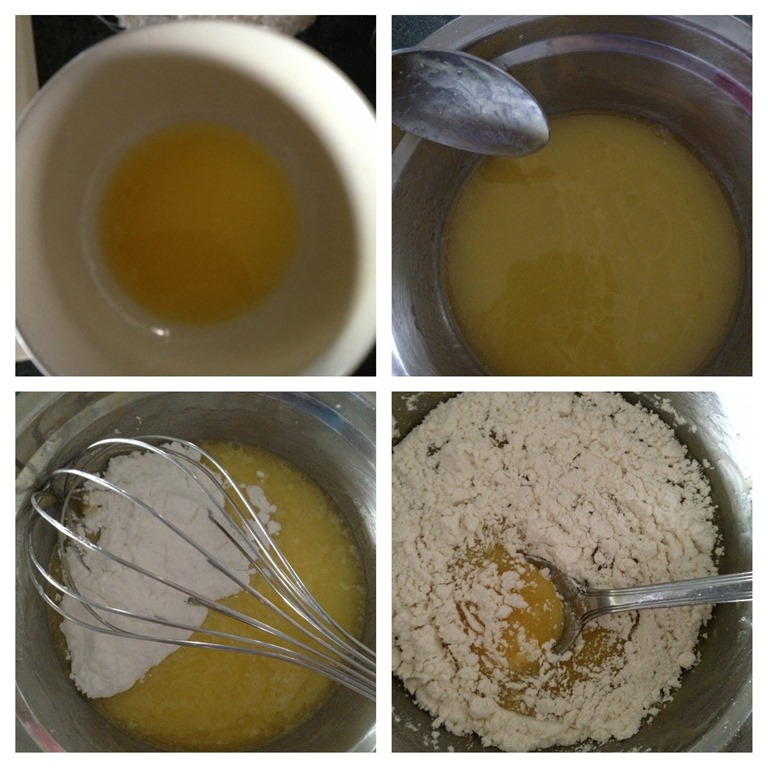 Add in beaten eggs, sifted icing sugar, instant coffee paste and sifted bread flours. Mixed well until it form a soft sticky dough and set aside. Note that in the above illustration pictures, I only add in the instant coffee paste at a later stage. 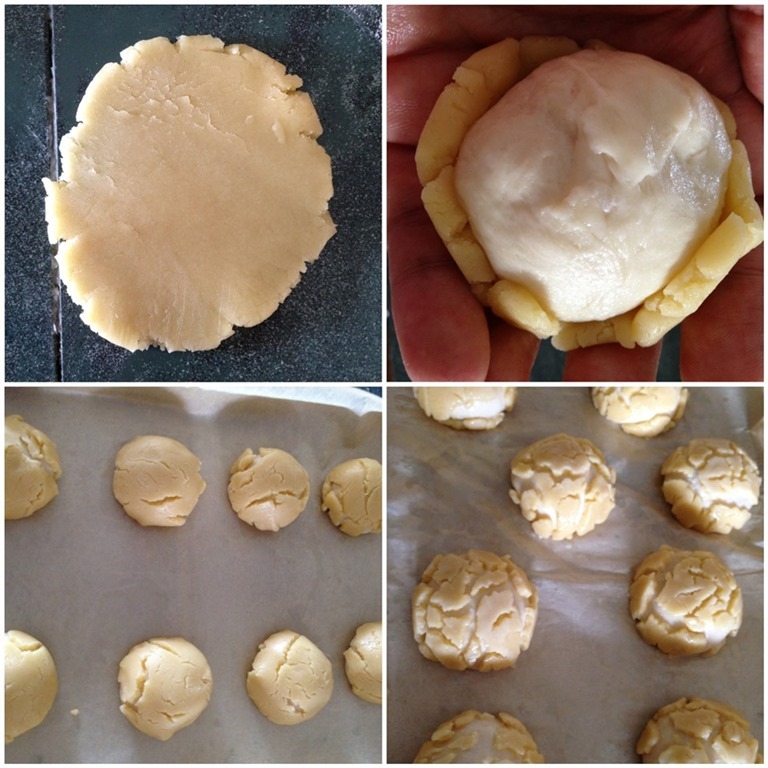 Take the dough out, punch into the dough to let any trapped air escaped. 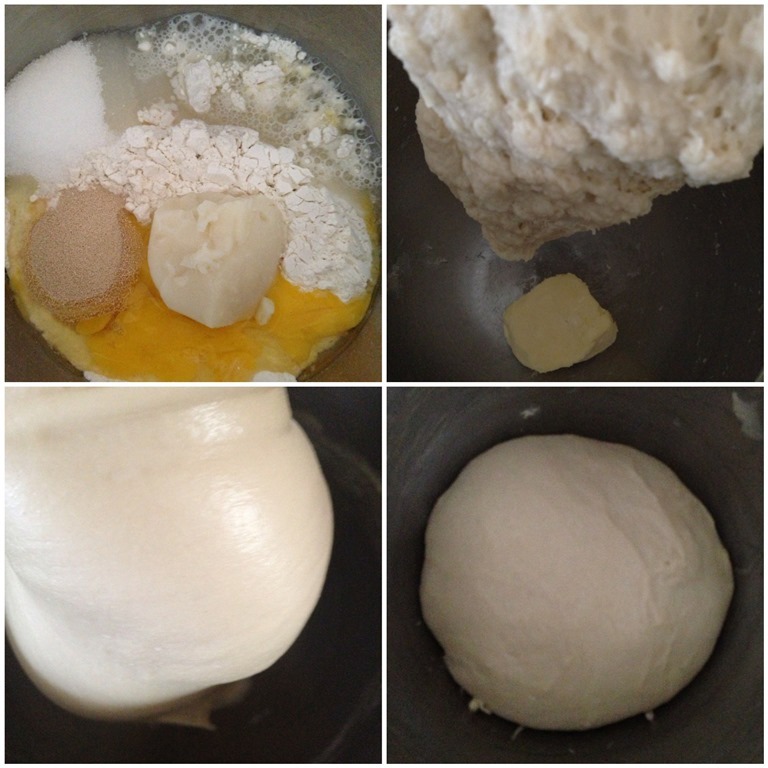 Knead for one minute and divide into 2 portions. 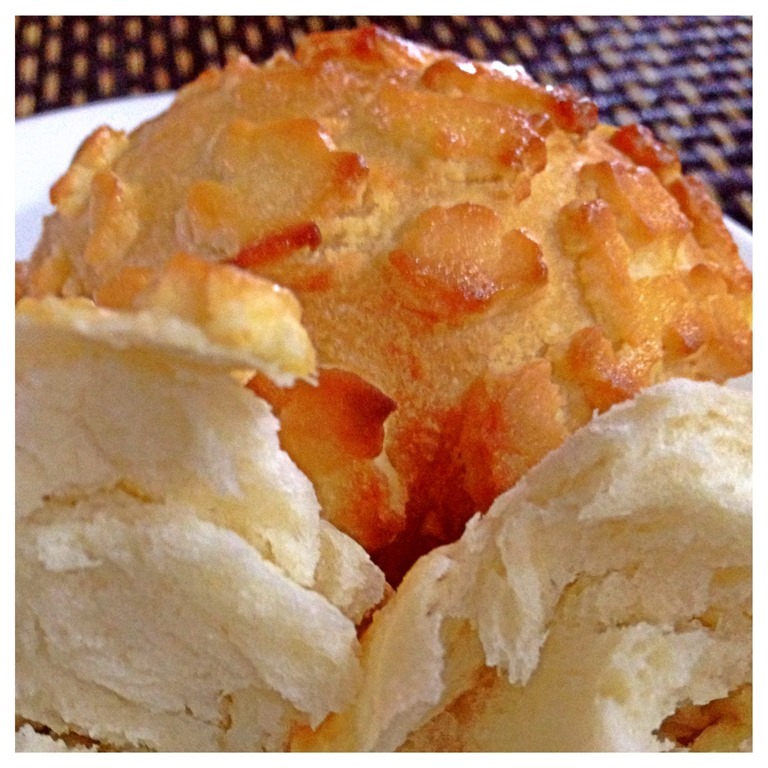 Set aside one portion for Mexico Coffee Buns in Section E.
Divide the dough equally into 8 portions and shape it into a round ball. Use a roller to flatten the “cookie liked dough” as prepared in Section B. Use a brush to lightly brush some water on the plain dough so that it is easier for the cookie dough to cling on the plain dough. Wrap around the plain dough and let it prove until double in size. As the dough proves, you will see the cookies dough started to break. If you find you cookies dough have the tendency to drop from plain dough, spray or brush with additional water to let them stick together. 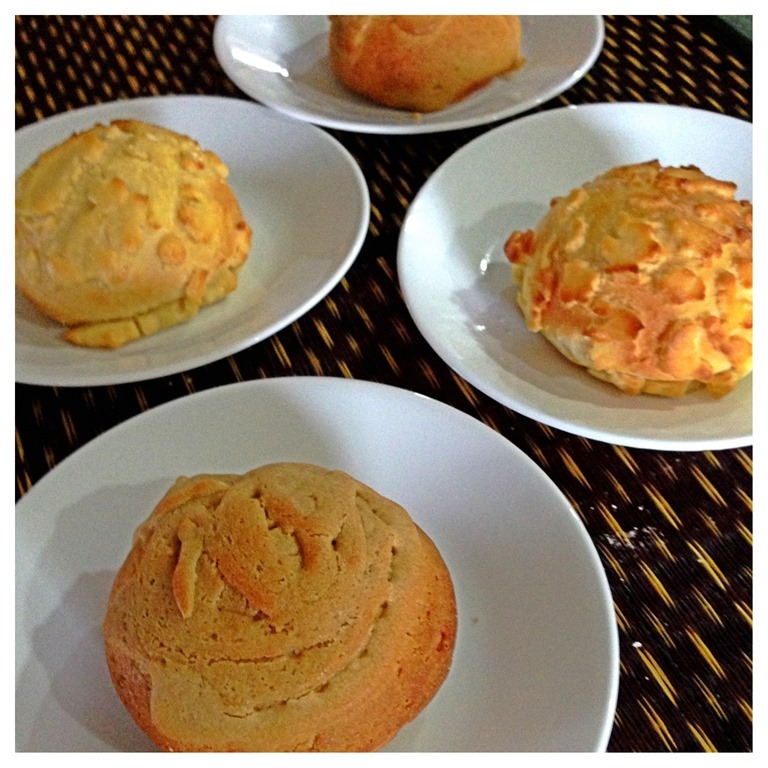 When double in size, baked in the oven at 190 degree Celsius for about 15 minutes. Lightly knead the other half of the dough as mentioned in Section D.
Divide the dough into 8 equal portions and shape into a sound ball. 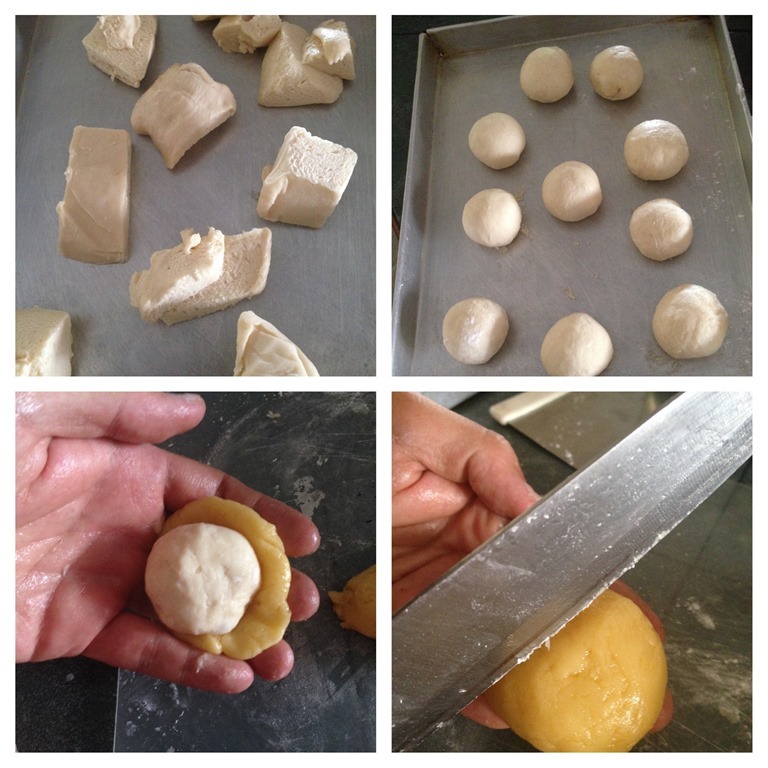 Use a roller to roll the ball into a flat dough, place a piece of cold butter on top of the dough. 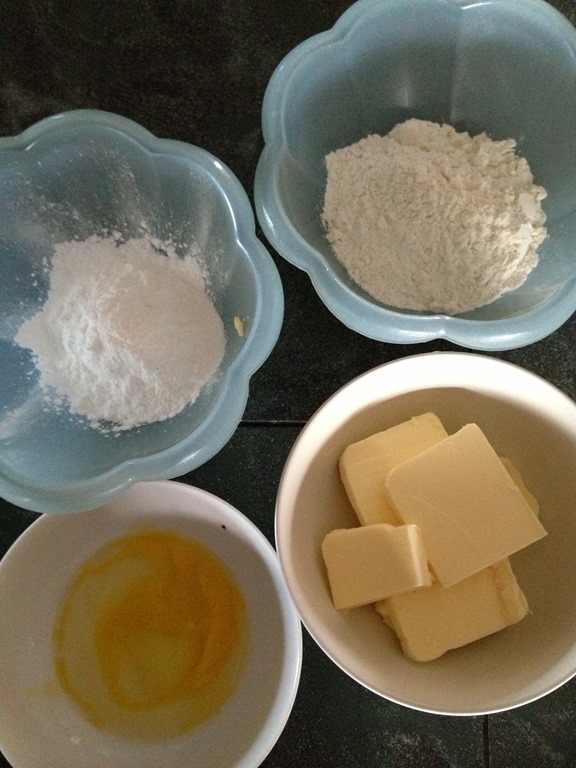 Use the dough to wrap a butter and make it into a round ball. Put it in the baking tray and proved until double in size. 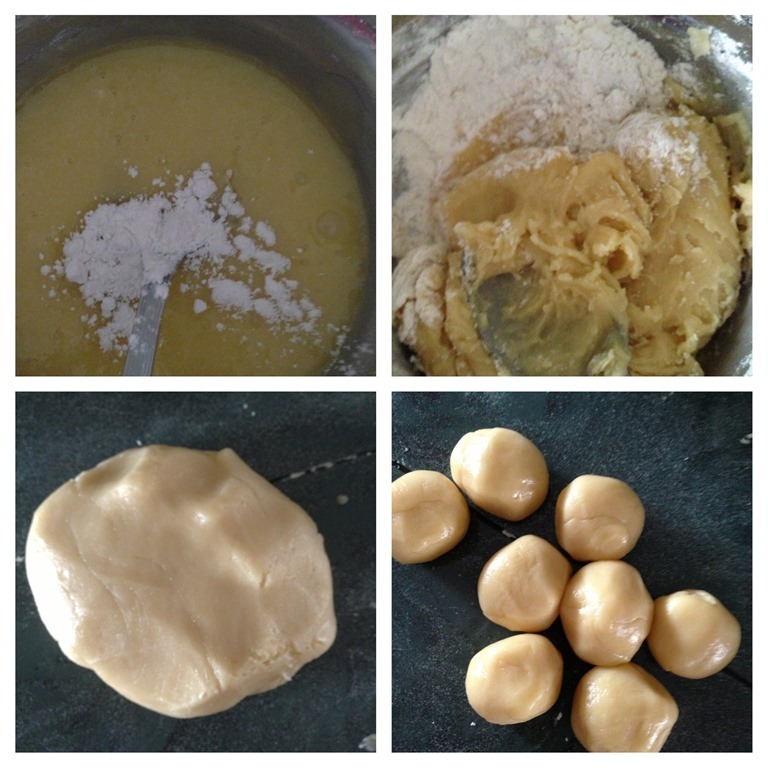 Put the coffee soft dough into a piping bag. Cut a small hole in the bottom. 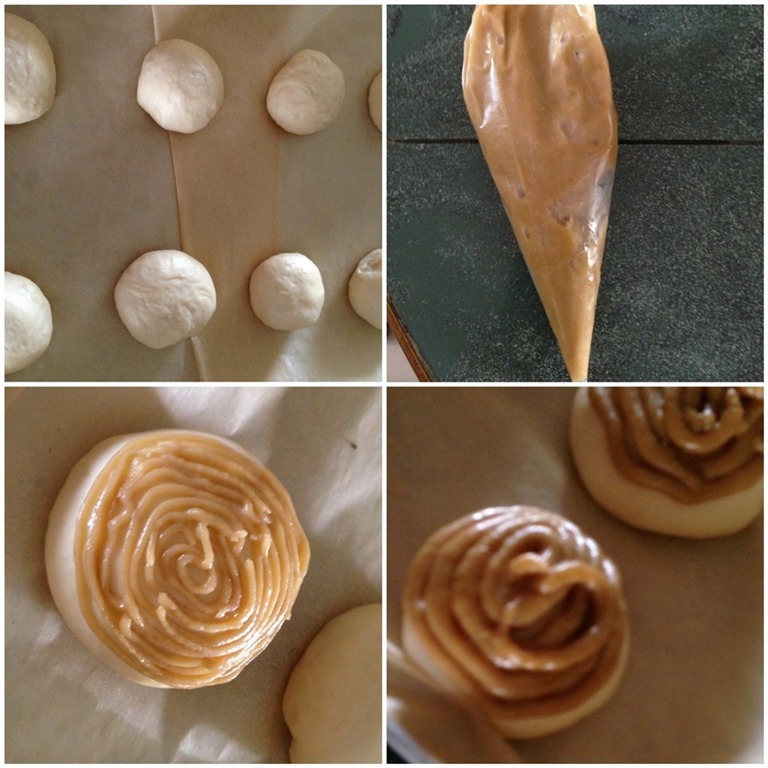 Pipe the coffee soft dough on top of the proved buns in the pattern as in the above images. 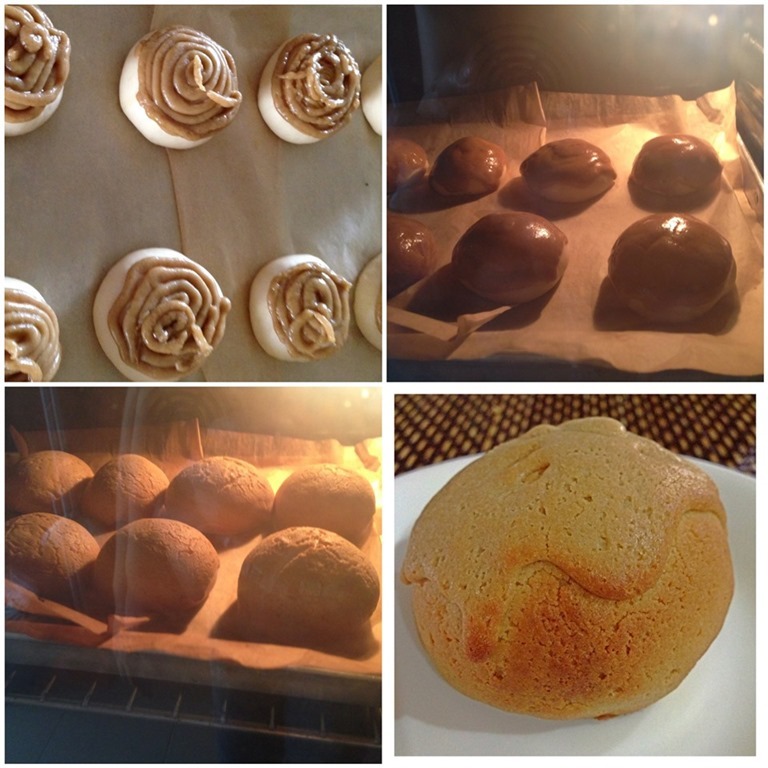 After finished piping, bake in the oven for 190 degree Celsius for about 15 minutes. 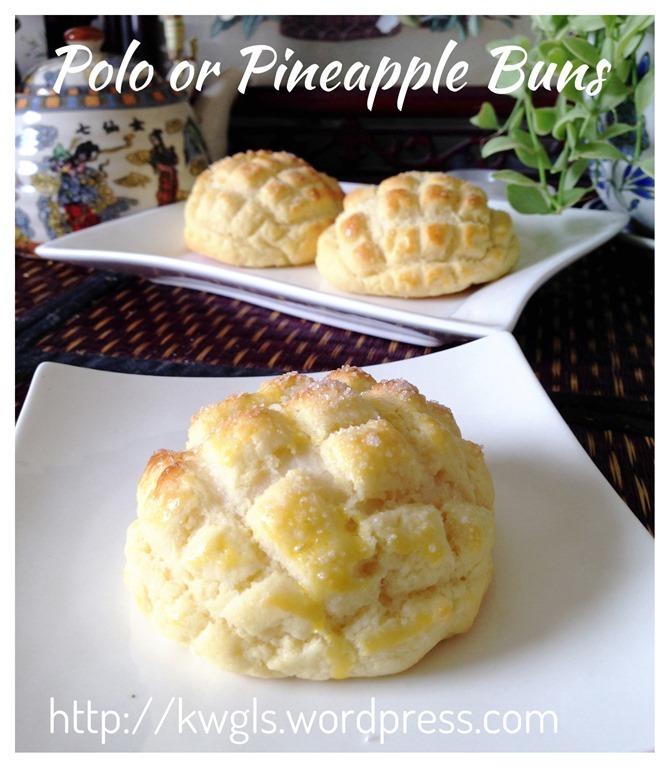 In this post, I have shared two types of common sweet buns. 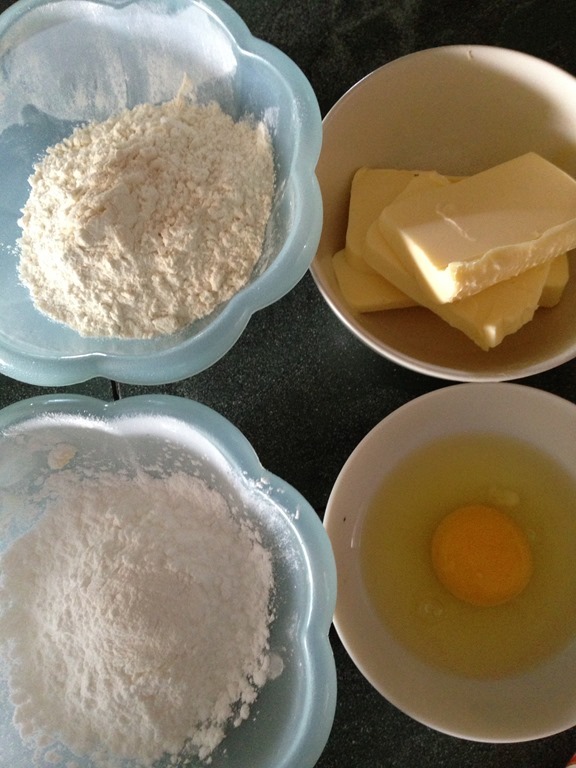 If you have some baking basics, it is definitely not a difficult bun to prepare. The crispy toppings of both buns are rather similar except the proportion of each ingredient is different. These toppings can actually be prepared in advance to shorten the preparation time. 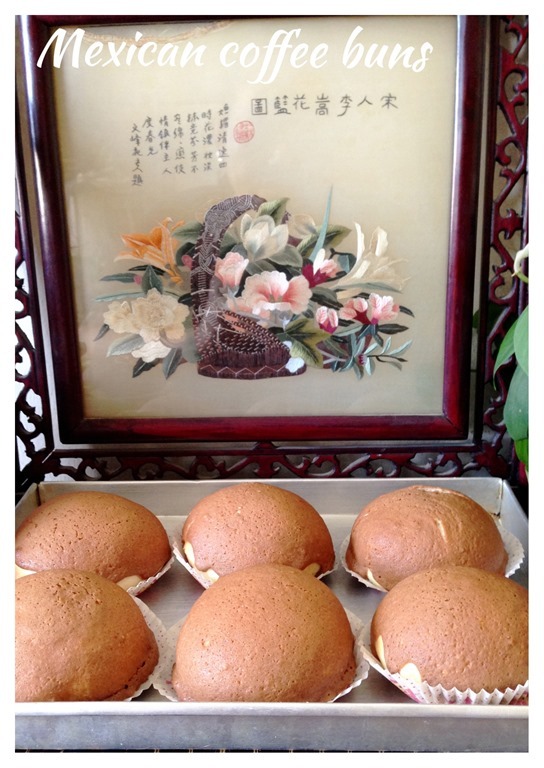 Remember that you can always wrapped barbecue pork in the Polo buns and you can refer Guaishushu’s Facebook Page post P1 – Roast Meat Bun (烧肉餐包）. Sincerely, honestly, faithfully hope you like the post today and don’t get discourage by the ugly pictures today. Guaishushu’s promise to be less stingy (at least for photo taking purposes, ha-ha) in my coming illustrations..
Have a nice day and cheers…. 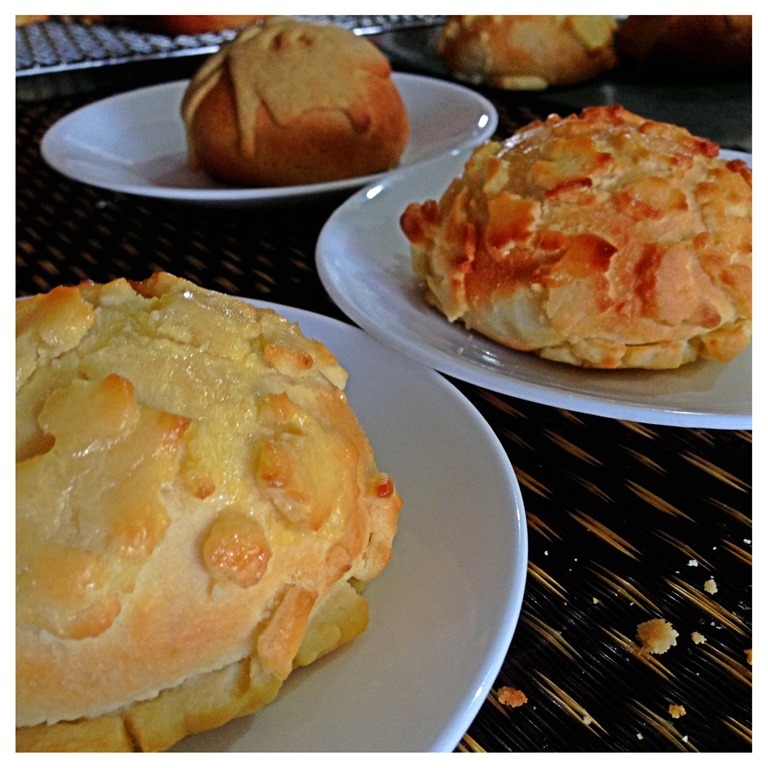 I have prepared some Mexican Buns on today and I have decided to take some picture and update the post. As the above dough recipes uses tangzhong is rather time consuming, I have decided to use another faster dough as in my Blueberry Sweet Bread. 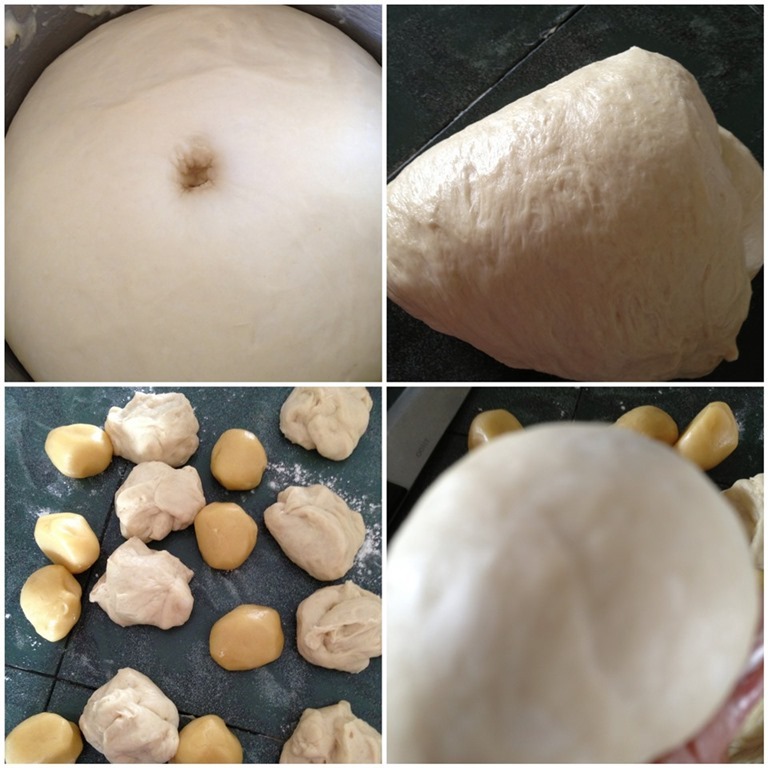 It is definitely a faster and easier straight dough method that yields a fluffier bread.. As for the toppings, it is the same as the recipe above. 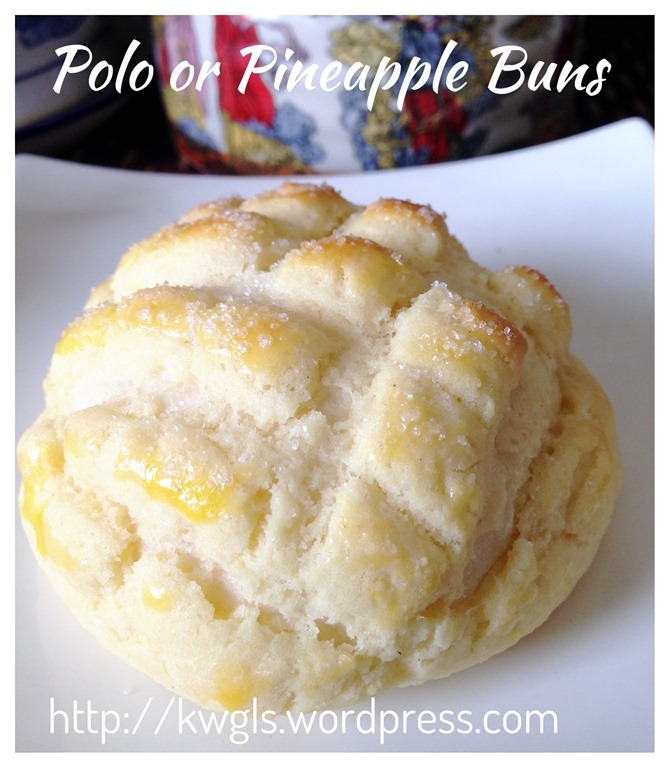 With the frozen dough that I have in the fridge, I have decided to prepare some polo buns for the breakfast. There are some changes to the recipe as indicated in “red” as above as I found that this recipe for the topping is better. 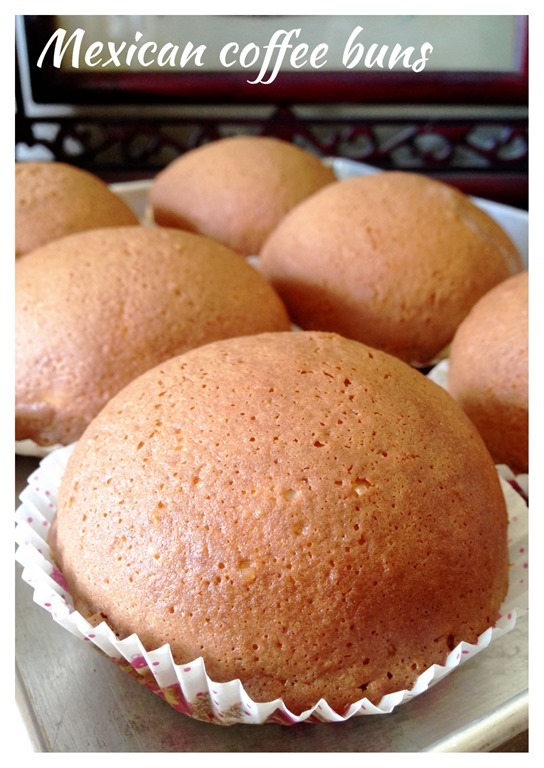 In addition, I have used another way of preparing the buns. Weigh the topping and divide into 10 equal balls. 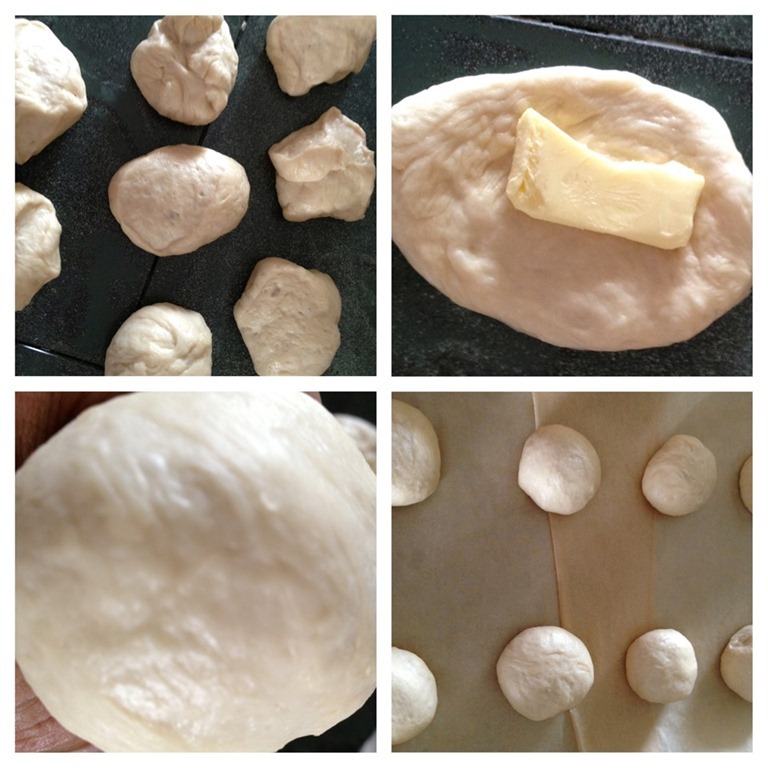 Take one topping, shape it like a ball, place a dough ball on top of the crust ball, wrap the topping around the dough ball. Use a knife to cut some lines on on top of the toppings. Let the dough proof until double in size, egg wash with the egg yolk followed by sprinkling some sugar on top of the crust. 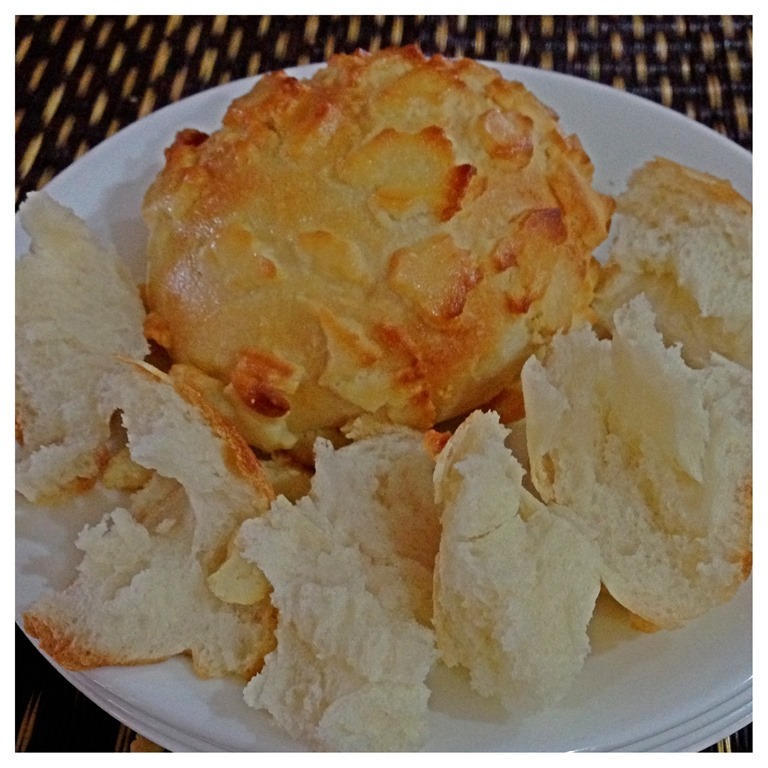 Bake in the pre-heated oven for 12-15 minutes or when the breads turn golden brown. 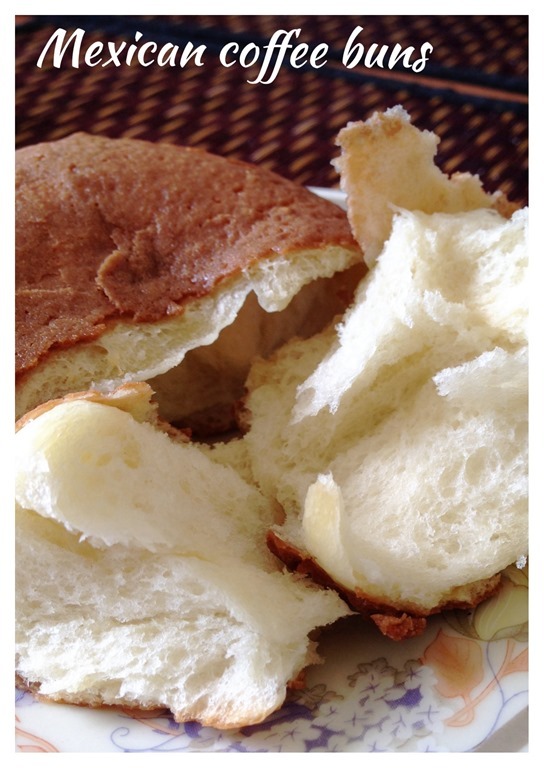 This entry was posted in Breads and Pizza, Cakes and cookies, Food Preparation Series and tagged 8, Additional, asia, ball, basics, batch, bread, breakfast, buns, butter, Celsius, cloth, Coffee, CONCLUSIONS, Cookie, Cookies, Cover, creativities, 烧肉餐包, degree, diameter, Divide, dough, Facebook, fillings, grams, GREEDY, Guaishushu, illustration, illustrations, ingredient, ingredients, Instead, INTRODUCTION, Knead, LAST, Leave, Look, malaysia, Mandarin, Meat, Melt, Mexican, Mexico, moisture, moment, Note, Okay, oven, packet, Page, pastry, PICTURES, Pinches, PINEAPPLE, Pipe, Polo, pork, postaday, preparation, proportion, purposes, readers, recipe, reference, Remember, Roast, roller, Rotiboy, Ruin, Section, Shape, size, sizes, Some, STEPS, Stingy, tablespoons, Take, temperature, tendency, toppings, tray, usage, vegetarian, Very, WORK, WORKABLE, Wrap, yeast. Bookmark the permalink. ← This Is In Kitchen! Ok! Don’t Think Otherwise…. Ken, I did not see amount of butter in Section A though mentioned in preparation. I am sorry for my oversight. Butter is 30 grams and have amended. Thanks for your highlighting. Don’t worry, I think they still look fantastic! Thanks for the great tutorial! I have extra of the coffee Topping, can I keep it for future use? How to store? Just keep in fridge or freezer? Can store for how long? 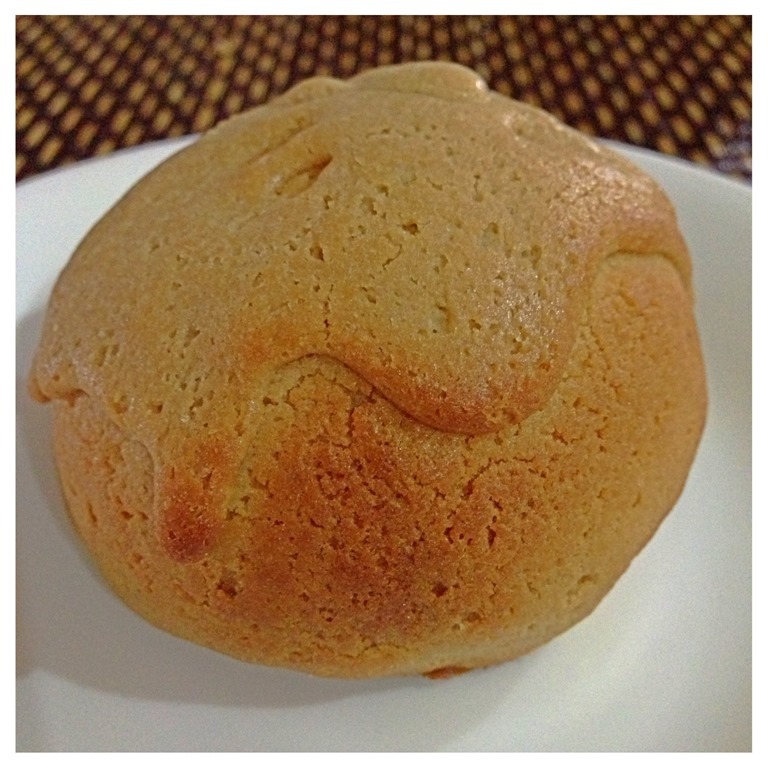 This topping can I use it as filling of bun instead? One two day in the fridge should be no problem. What I did is just piped into some white bread and use an oven toaster to bake until it is hard. Hi for the Mexican bun, can i proof the second time in the fridge overnight? If yes, do I need to wait another hour after taking out from the fridge? Is it ok to prepare the topping at night too? 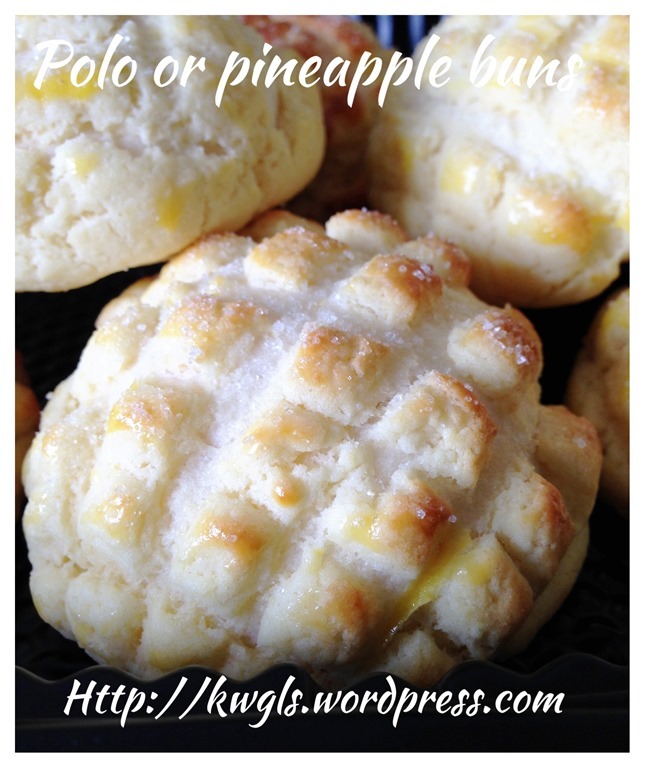 Lastly, thanks for sharing so many wonderful recipes. Thanks. I guess I just make it today and reheat for breakfast tomorrow.